Away from the hustle and bustle of traffic, in a quiet part of Kagugu, lies the Village of Hope, home to the Rwanda Women’s Network (RWN). Adjacent to the administrative offices, the health clinic is full of women and children. The clinic is merely one of dozens of services and programs RWN offers. Among other locally-informed initiatives, the organization provides a safe haven for women affected by gender-based violence (GBV), raises awareness and promotes dialogue on GBV using community-centered initiatives, hosts multi-generational workshops to teach girls about sexual health, and delivers technical skills training for job seekers. For more than two decades, RWN has responded to community needs and endeavored to continually strengthen its ability to improve the welfare of women in Rwanda. The organization has a staff of 70 who serve the community and work with its network of more than 50 local partner organizations. Thanks to these partnerships, RWN can offer services to address aspirations and challenges like economic empowerment, health, education, governance, and GBV for many women and children across the country, with the Village of Hope serving as a hub. Recently however, the shifting social and economic landscape in which RWN operates has presented new obstacles to growth. 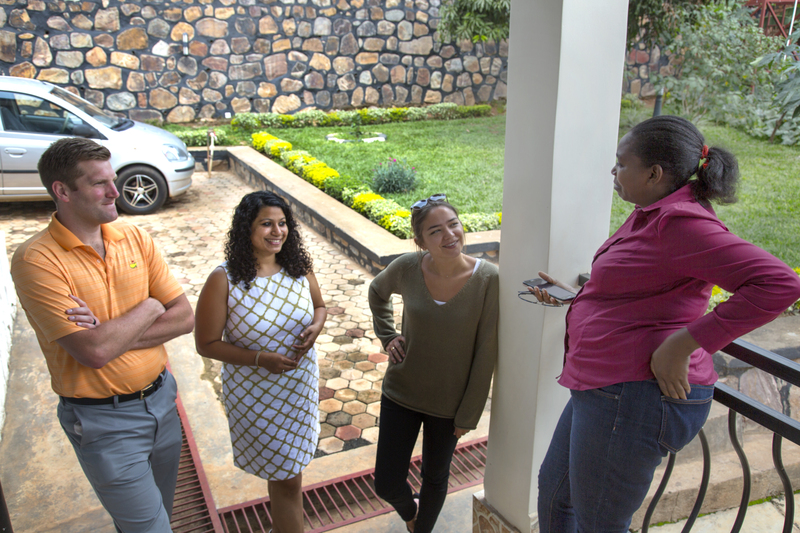 In keeping with its proactive approach to serving Rwandan women, while seeking ways to adapt its model, RWN discovered the Global Health Corporate Champions (GHCC). The GHCC is an activity of USAID’s Global Health Fellows Program II, implemented by the Public Health Institute in partnership with PYXERA Global, which addresses immediate and emerging human capital needs in global health. This interdisciplinary team approach brings together diverse perspectives and skillsets to create a melting pot of ideas to address high-priority community health needs, like the ones identified by RWN. In GHCC’s first engagement in Rwanda, nine corporate professionals representing The Dow Chemical Company, SAP, GSK, and WE Communications spent four weeks in Kigali applying their expertise to increase the capability of organizations working in underserved communities, at no financial cost to the organization. A sub-team of three pro bono consultants worked with the RWN leadership to help restructure the organization for a hopeful, successful, and profitable future. 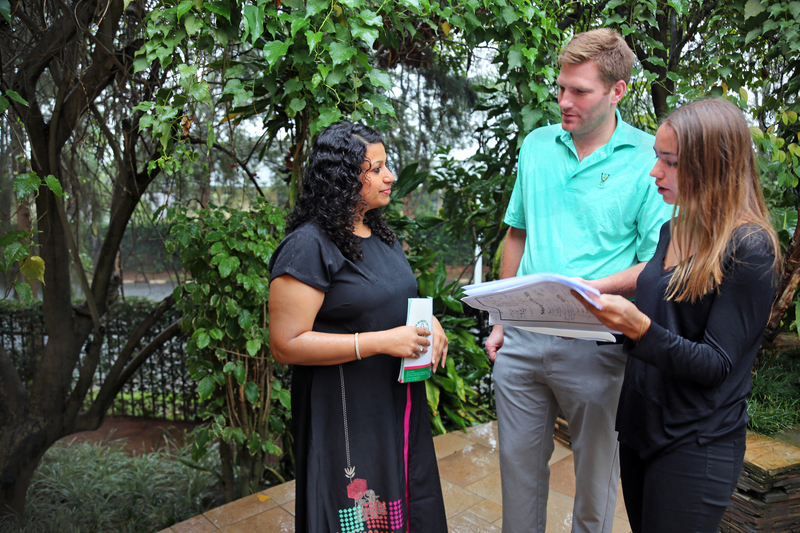 Derek Rothhaar (Dow), Garima Dutt (GSK), Alina Christophel (SAP) talk with a RWN employee overseeing a training at one of the safe spaces. “We wanted the GHCC team to think bigger, look at us as an institution, and look at us as an entire constituency. Eventually, we want to refocus our work on safe spaces for women and take a more holistic approach to women’s care. It’s the only way to reach the standards of services and support we want,” said Mary Balikungeri, the Executive Director and Founder of RWN. We wanted the GHCC team to think bigger, look at us as an institution, and look at us as an entire constituency. Eventually, we want to refocus our work on safe spaces for women and take a more holistic approach to women’s care. While RWN pushes its resources to capacity, the needs of Rwandans are changing. The country’s genocide against the Tutsi in the early 1990s inflicted a deep scar on the population. 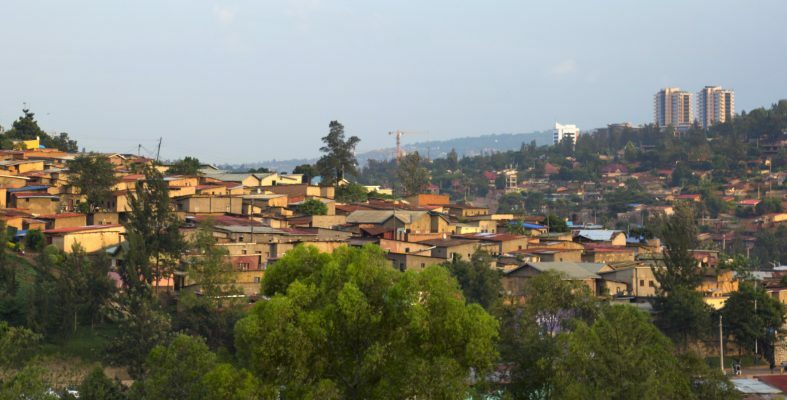 However, the resilience of Rwandans is remarkable, and as the population continues to heal—physically, emotionally, and spiritually—there is belief in a brighter future. Mary’s top priority for RWN is to find a clinic model that is both profitable and adaptable to the diverse needs of women and complement the holistic approach on RWN work. The inclusion of a maternity ward or children’s hospital will help enhance the clinics efficiency and adequately provide services to clients. The collaboration with business professionals from the GHCC has inspired hope for the right adjustment that allows RWN to continue to support women and girls. We’re seeing the same problem through completely different lenses. My role this month is to bring her lens a little closer to mine but also to be flexible and shift my lens toward hers. It’s about finding the healthy balance. To Mary, Global Pro Bono consulting, otherwise known as skills-based employee volunteering, is a promising new approach to development. It addresses the capacity limitations of important mission-driven organizations while also providing the private sector participants with a once-in-a-lifetime cross-cultural consulting experience. It is unorthodox for multinationals to team up with nonprofits and governments, but it’s the difference in perspectives, resources, and influence that brings about effective solutions. Mary was surprised at how valuable the participants’ contributions were and how genuinely interested they were in the needs of the community. Some participants were surprised at how similar RWN’s challenges were to those in their home countries. Garima Dutt (GSK), Derek Rothhaar (Dow), and Alina Christophel (SAP) collaborate on recommendations for RWN. “There is a lot of cross-cultural learning such as being able to see how communities are constructed, education expectations, and more. There are similarities in healthcare challenges in Rwanda and India and both nations also enjoy a demographic dividend with primarily a young population. Looking at models of how we leverage this dividend while serving to make a true difference in healthcare access in our respective countries is what was most interesting for me,” said Garima Dutt, the Corporate Social Responsibility Lead for GSK India. The month-long immersive experience allowed the GHCC team to understand the local context, build trust, and meaningfully support RWN. Over this short time, participants began to see the world, and themselves, differently. This change in perspective is manifested in various ways as participants transition back to their regular work lives. “The whole experience grounds you. You realize the problems you experience in your personal life are minor and you gain perspective. Professionally, the focus tends to be on profit in corporations. I think there is a shift to value employees more but it’s not entirely there yet. When I go back to my role at home, I will share my experience and new perspective with my team. I will value my people and team more. It’s about people and communication. It’s not only about competition and power. This collaboration teaches you how to park your ego and personal motivations to prioritize a common goal,” said Alina Christophel, a Senior Business Consultant at SAP in Switzerland. Mary says Rwandans are buzzing with the thought of more partnerships between the public, private, and social sectors. This experience has demonstrated their value and ignited her curiosity about how the sectors normally interact. If each sector can understand each other’s motivations, finding a way to collaborate will become much easier. Working with the GHCC allowed RWN to gain insights into new approaches that will help set it up for future success. The GHCC participants came away with a changed perspective that allowed them to see similarities across continents and offered a grounding experience.